We have a team of qualified service technicians standing by to help you with any of your service related needs. From oil changes, tire rotations, brake pads or transmission problems, we’ve got trained technicians who are able to help. Please use the button below to schedule service at Northland Volkswagen or contact our Service Department. You can also call us at (403) 286-4849. 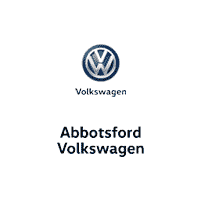 Northland Volkswagen was founded in the early 1970’s, became a member of the Hyatt Automotive group in the early 1990’s and then in June 2014, we became a member of AutoCanada. While we may be a part of a large automotive group, we still have our small group dealership core values and beliefs. We want to offer an outstanding customer experience to everyone who comes to Northland Volkswagen. We believe that our customers make up our Northland Volkswagen family, so no matter what you need, Northland Volkswagen is here to help in any way possible.